There are 10 awesome levels in this online driving game. 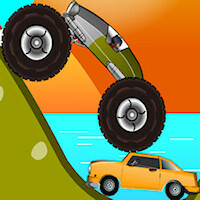 You will have to drive the buggy to get across the bumpy tracks to reach the end as soon as possible. There are so many useful items to collect along the way but it is very challenging to keep good balance and avoid tipping over.